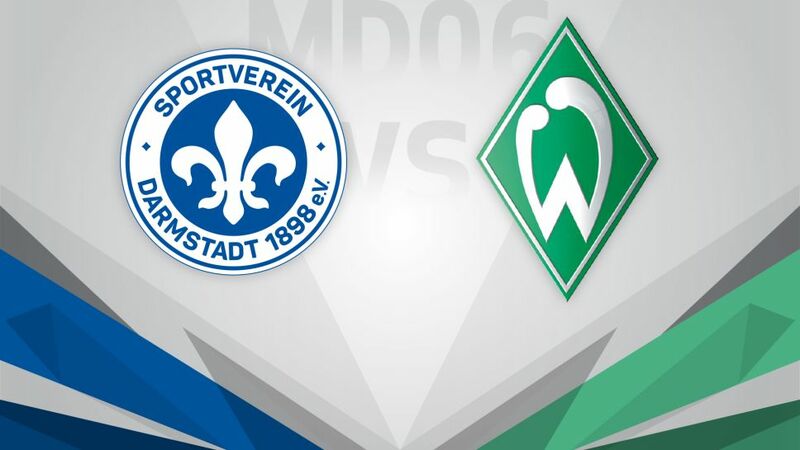 The Jonathan-Heimes-Stadion am Böllenfalltor plays host to a real six-pointer on Saturday as SV Darmstadt 98 welcome an SV Werder Bremen side who have just recorded their first win of the season (kick-off 15:30 CEST / 13:30 GMT). After the departure of coach Dirk Schister and several first-team regulars in the summer, this season was always likely to be a struggle for Darmstadt, and there are notable absentees ahead of their crucial clash with Bremen to boot. Injured captain Aytac Sulu is still to make a Bundesliga appearance this season and youngster Leon Guwara will miss the game against his former club through suspension after being sent off in last week's defeat in Augsburg. But Die Lilien have made battling qualities their trademark and last season kickstarted their ultimately successful bid to beat the drop with a home victory … on Matchday 6 … against Werder Bremen! For their part, visitors Bremen finally got their own campaign up and running last week with a dramatic last-gasp victory over VfL Wolfsburg. In his first game in charge, interim coach Alexander Nouri led the team to an emotional first win with a little help from the infectiously enthusiastic 'Green-White Wonderwall' at the Weser Stadium. Nouri handed starts to several players from the Under-23 side and their youthful verve could invigorate the four-time Bundesliga champions as they look to charge up the table. Darmstadt coach Norbert Meier played 242 of his 292 Bundesliga matches for Bremen, and also won a league title with them in 1988.Meier also scored 66 of his 68 Bundesliga goals for Bremen.As a head coach Meier has never lost a match against his former club.In six Bundesliga matches between the two clubs Darmstadt have only lost once and are now unbeaten against Bremen in five matches.Bremen’s victory on Matchday 5 meant that the club moved off bottom spot.Victory against Darmstadt on Matchday 6 would see them overtake the Lilies as well.